New York State this week completed its purchase of 31 properties that run through the center of Niagara Falls' downtown tourism district. With the properties in hand, the state will try to sell them to others who can revive a chunk of the downtown core. It's the state's largest real estate deal in downtown Niagara Falls since the state turned over 54 acres to the Seneca Nation of Indians for their casino in 2003. "It's a game changer," Mayor Paul A. Dyster said. "It's very timely. Just as we were running out of places to do projects, another batch of parcels comes on the market." "I think it's a good time to be in downtown Niagara Falls," said Kory Schuler, executive director of the Niagara USA Chamber of Commerce. USA Niagara Development Corp., the local arm of Empire State Development, spent more than $15 million to buy the parcels from Tuscarora businessman Joseph M. Anderson, who runs the Smokin' Joes Trading Post gasoline outlets. The state now has 9.5 acres to sell. Some of it is open land, while other parcels include buildings ranging from a defunct hotel — the Rodeway Inn on Main Street — to a former Niagara Mohawk office building. The state's new holdings also include a former call center, Anderson's 4-acre, year-round snow park and several restaurant-nightclub buildings, especially on Third Street. 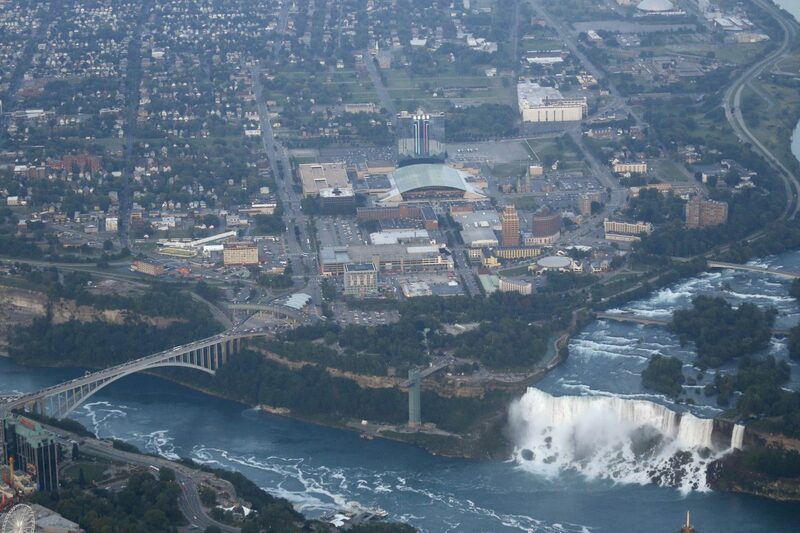 USA Niagara officials said last year that they envisioned a mix of uses for the properties. Dyster said there is nothing specific in mind for any particular site. "One of the things for a long time described as an impediment to development in downtown Niagara Falls was the ownership of a large number of parcels by real estate speculators," Dyster said. "In some instances they did developments, but it didn't realize the full potential of the parcels." One example the mayor cited is the former Niagara Mohawk office building, which is now to be called by its original name, the Niagara Hudson Building. Anderson installed a native cultural center in the Art Deco-style building. For Dyster, that was a disappointment because the center was not being used for its intended purpose. "There were embroidery machines sticking 'Niagara Falls' on hats," Dyster said. The mayor said if the Third Street buildings are effectively reused, "it would help the whole Third Street business district. "The buildings Anderson owned on that street have ground-floor commercial space with potential apartments on upper floors. "There's potential there for some very attractive market-rate housing," Dyster said. "We would love to see more entertainment venues," said Schuler, the Chamber of Commerce leader. "They need to have more bodies downtown. We have to look at things not just for the tourist aspect but for the locals." The Rodeway Inn is another strategic parcel, Dyster said. It adjoins DiFranco Park, one of the sites that could be reinvigorated by the removal of the adjacent Niagara Scenic Parkway along the Niagara River Gorge. Anderson, however, ended up keeping the single most valuable piece of real estate in his Niagara Falls portfolio: the Quality Hotel & Suites at 240 First St., which remains open for business. The state would have had to hire someone to operate that hotel, and it decided not to, said Paul Tronolone, acting president of USA Niagara. "The Quality Inn was a single-proprietor operation," Tronolone said. "There wasn't enough time to find an operator and keep it open." 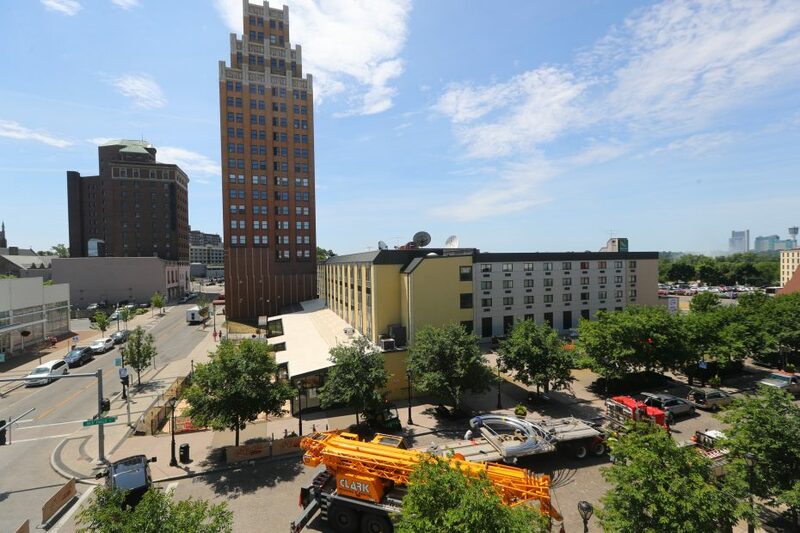 Last year, Ellicott Development Corp. of Buffalo expressed interest in buying the Quality, which is located next to the Giacomo, the hotel-commercial building Ellicott owns at 222 First St.
That move hasn't happened, however, said William A. Paladino, Ellicott Development president. "We would consider, but there is no imminent deal or understanding," Paladino told The Buffalo News. Anderson, who started buying land in downtown Niagara Falls in the late 1990s, could not be reached for comment Friday. When the Anderson deal was announced last August, USA Niagara was to pay $25.7 million for Anderson's properties, a figure based on the higher of two independent appraisals. The state's money comes from its Buffalo Billion II funds. In the end, the purchases totaled a bit more than $15 million, a USA Niagara spokeswoman said. Not buying the Quality Hotel saved USA Niagara nearly $11 million. Dyster speculated that the state could use the savings to pay for another round of property purchases under what Gov. Andrew M. Cuomo calls the Strategic Land Acquisition Program, or SLAP. "I wouldn't have any problem at all supporting another round of SLAP," Dyster said. 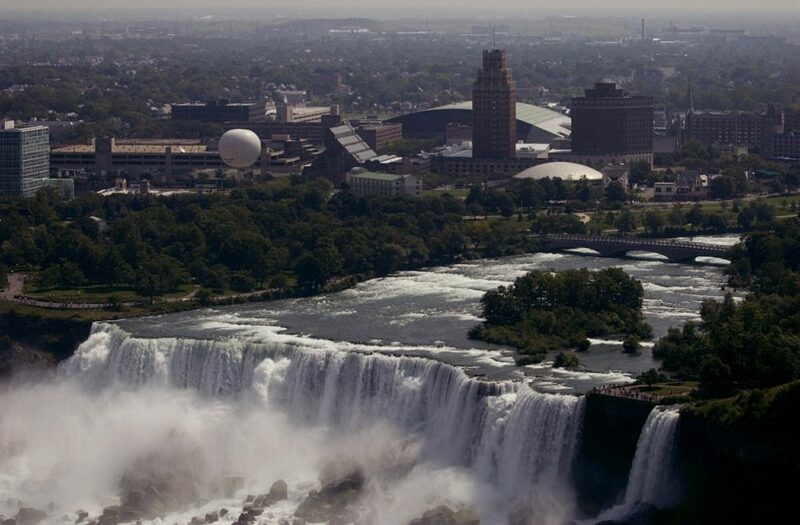 The largest landowner in downtown Niagara Falls is a company controlled by New York City businessman Howard Milstein, whose Niagara Falls Redevelopment holds 142 parcels, most of them vacant. A Milstein spokesman did not respond to a request for comment on whether Milstein would be interested in selling parcels. USA Niagara filed eight deeds Tuesday in the County Clerk's Office, in addition to three others filed Feb. 12. The sellers were all Anderson-owned entities such as Thunderfalls, Falls Street Leasing, Main Street Hospitality, Main Street Niagara Falls and 462 Third St. LLC. The parcels included 11 on Second Street, nine on Third Street, four on First Street, two on Niagara Street and one each on Falls, Fourth, Eighth and Main streets and Walnut Avenue. Besides the Quality Hotel, two small lots next to the Wyndham Garden Inn, 443 Main St., were deleted from the purchase pact, Tronolone said. USA Niagara intends to issue multiple requests for proposals to resell the lots, Tronolone said. The first to be issued likely will focus on Third Street, including such sites as the former Club Ultra and the Niagara Hudson Building. "We think there's the most ability to turn those around," Tronolone said. "The first thing the state needs to do is turn them around in a quick time frame," Schuler said. He urged USA Niagara to place deadlines for action in the requests for proposals. While the state owns the real estate, it will be off the tax rolls. Last year, Dyster said the tax bills for all the Anderson parcels totaled about $600,000, counting city, county and school taxes. But Friday, he said most of that was for the Quality Inn, which will remain taxable. Its total tax bill at current rates is about $246,000. Dyster said he's willing to forgo the taxes for a while on the 31 former Anderson parcels in hopes of seeing more lucrative uses in the future. "Given the relatively small amount of (lost) revenue, maybe only for one cycle, it seemed like a small price to pay," Dyster said.